It's only when you become a vegan or a vegetarian that you discover that everyone else (or so it seems) is an expert on nutrition. 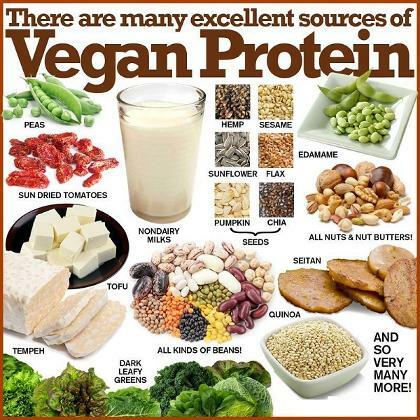 Their number one concern is: where do you get your proteins from if you're not eating meat or animal products? When you reply, "From plants" (duh, obviously), you are generally quickly informed that plant proteins are inferior to animal proteins because animal proteins are "complete". By this they mean that animal proteins contain all the essential amino acids that we need to synthesise our own proteins. The consequence being that a vegan needs to consume two different sources of proteins e.g. whole grains and legumes such as beans, lentils, nuts and seeds. It has recently been discovered that the liver can store amino acids, so it is not necessary to combine them in the same meal. Mind you, that isn't exactly rocket science in any case: rice and beans, chilli beans and tacos, hummus and pita bread are all well known examples of suitable combinations. The average Canadian actually gets 48.9 grams of protein (that's almost 100% of his/her RDI) from vegetables. The average European has a total intake of 102 grams of protein per day of which 57.8 is from animals, 44.2 from vegetables. 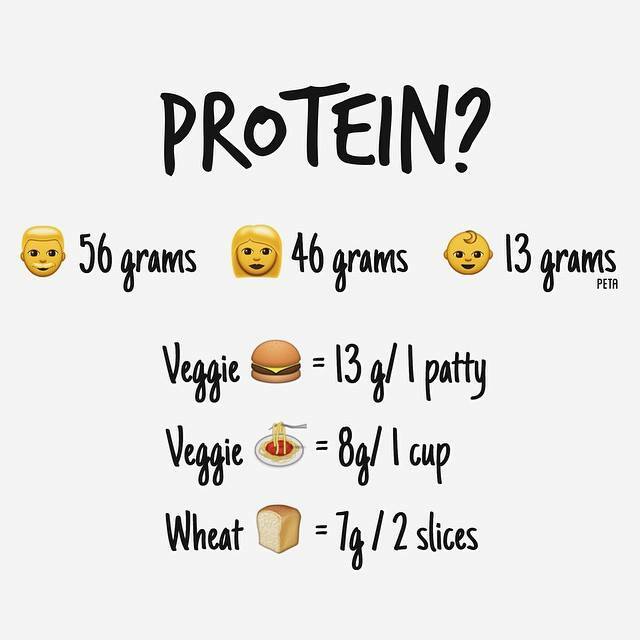 These figures illustrate just how easy it is to take in enough protein without exploiting animals. are implicated in cancer and heart disease. Eating a mixture of protein containing plants such as grains, vegetables and legumes gives an adequate low-fat protein intake without cholesterol and saturated fats. They also provide lots of fibre which may be absent in a diet that depends too much on animal proteins. As well as the long-term health benefits of eating vegetable proteins, there is an immediate benefit to the health of your finances. Animal proteins are more expensive per gram of protein than lentils, peanuts, tofu etc.